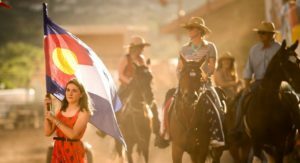 Contestants – Ranked #2 Must See Rodeo in the US! Come ride in the COS Rodeo. No PRCA card required. 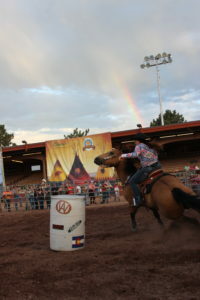 The COS Rodeo is having a blast and you will too at this low stress event. 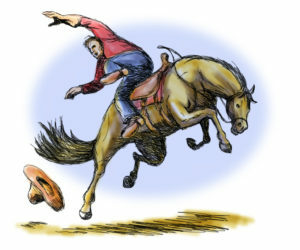 Call The COS Rodeo office to sign up for your event. Come on out and rodeo locally. For a little dough you can make alot of $$$$$. $500 to the top rider each night. Series Champ wins custom COS Rodeo Buckle. 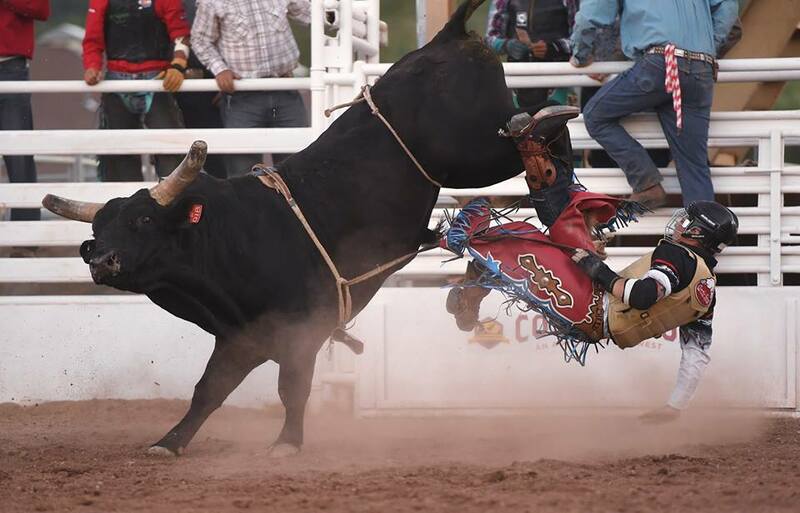 out of Lark Spur Colorado are providing world class bulls for your ride. 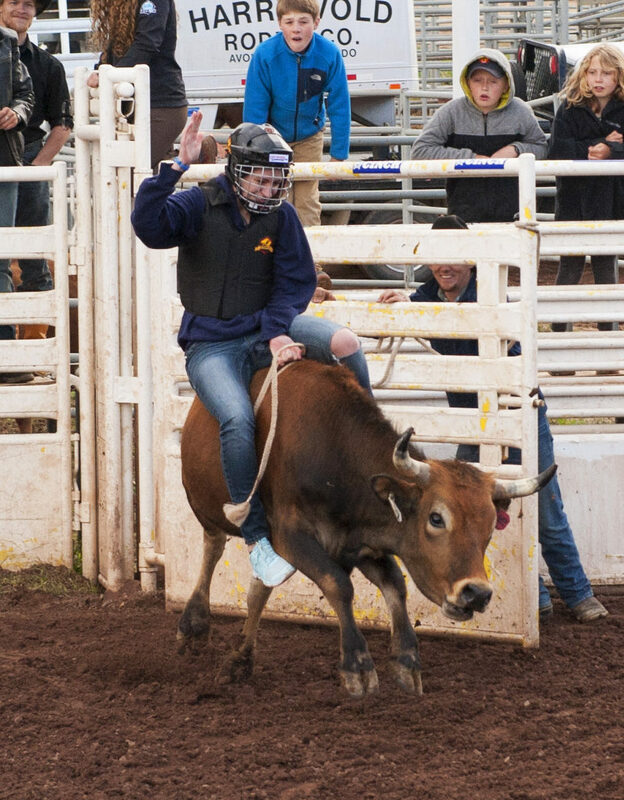 Call the Rodeo office to secure your spot in the Bull Riding Competition. $50.00 Buy in gets you a chance at $500 each week. R U Tuff-E-Nuff to ride? 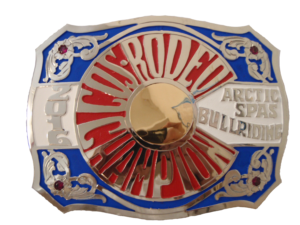 Ride each week to qualify for the Championship Buckle. Modified Payout......60/40 split on the $400.00 dollars each week. Come make some cash at the COS. So saddle up and hold on to one of these wild stallions. Ladies are the hit of the show at the COS Rodeo. 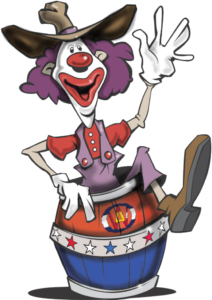 Come run on our short track for exercise, fun, a chance to take the Jackpot and the Series Buckle Championship. These events are open to the public. Sign up in advance with the rodeo office or check for space available the day of the show. Don't just watch the rodeo, be the Rodeo! Any great Rodeo has a parade and you can be in ours. Ride on the floats, carry a flag or mount up on a horse and be part of the show. 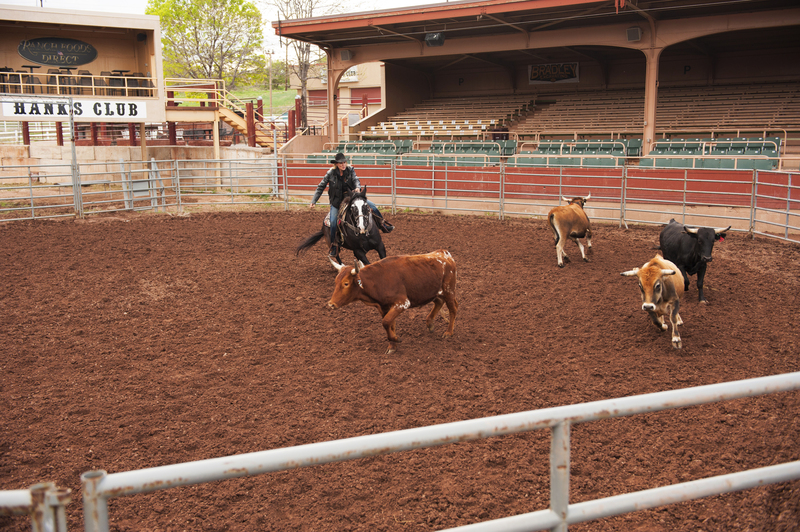 Our parade circles the arena bringing the Rodeo right up to your table. Special thank you to the Fort Carson Mounted Color Guard for presenting our Nations Colors. Please be aware of your surroundings and make way for the start of the show. In teams of two, you will sort steers from one pin into another. The tricky part is that you have to sort them by number 1...2....3...4....5 and so on. If you mess up you will have time added to your score. The top three teams (the teams with the lowest times) will move onto the finals. $20.00 entry fee for team of two. Ages 12 and up if you want to step up your game. These Steers are 300lbs and can jump to the moon. Our goal is to get a kid from Colorado Springs to the PBR! That aint no bull and it starts with Steer Ridin'. So get your game on and lets ride these rank Corientes. $25.00 entry fee gets you 8 seconds of oh my. 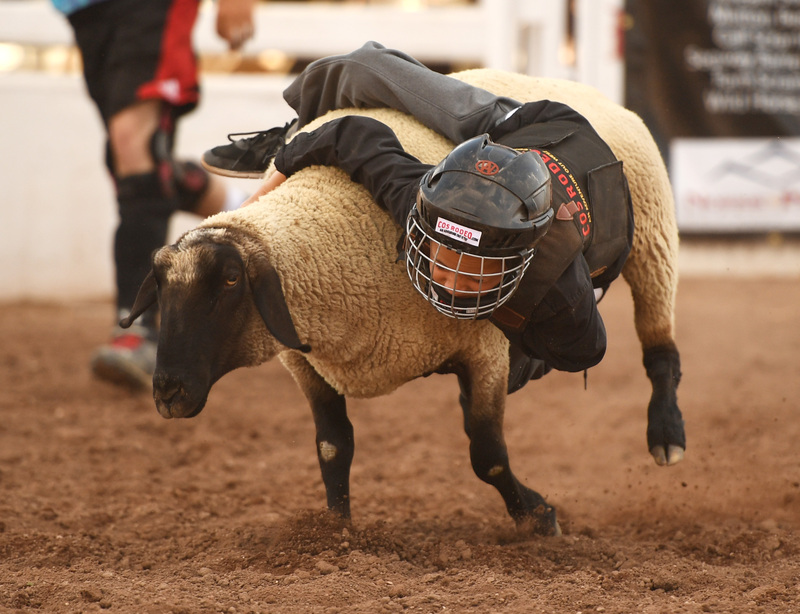 Mutton Bustin' is a crowd favorite and a little buckaroos first contest in rodeo. This is a memory you and your child will never forget. Ages 5 and up, 60 lbs max weight. Limited to 8 riders. 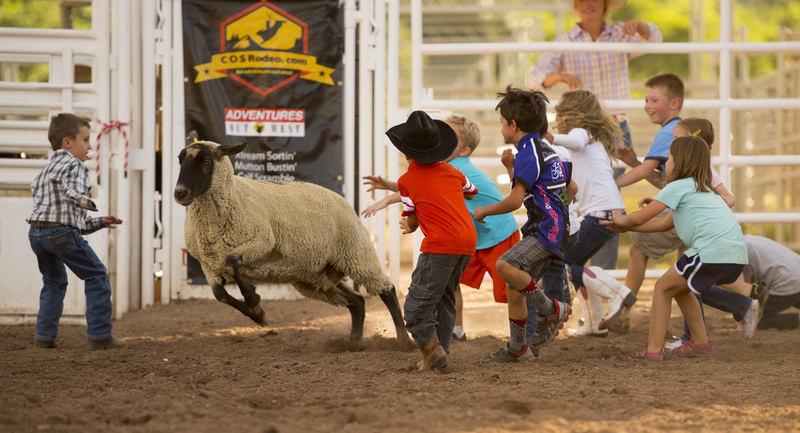 Ram scramble is a chance for the little ones to run with the animals. The goal of the game is to grab a ribbon off of the sheep's tail for the win. Free of charge, just have fun! Spots are running out, get your tickets now! Limited spots available, so please buy tickets now! Also contact our office (719)578-0935, for becoming an contestant.